The country’s long awaited anti-spam law will be implemented in 2013, according to Industry Minister Christian Paradis. Speaking at the Canada 3.0 Digital Media Forum in Stratford, Ont., this week, the minister said the government is committed to providing digital creators and users Internet users protection through it Copyright Modernization Act and Canada’s Anti-Spam Legislation (CASL). Paradis did not give a definite date but said he expects the CASL to take effect next year. 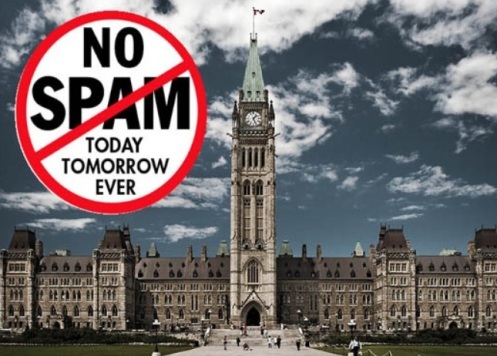 “…the anti-spam legislation, which we expect to take effect next year, will proptect both Canadians and business against unwanted spam,” the minister said. “In order for every Canadian to reap the benefits of the digital economy, we need a reliable digital infrastructure,” Paradis said in his speech. The CASL, also known as Bill C-28, was passed into law more than a year ago. It carries some potentially serious implications for businesses. For instance, firms found to have sent unsolicited e-mails or other digital messages (such as mobile phone calls and text messages) could face fines as high as $10 million. Are you uncertain if you and your business are properly protected against spam? Take a few minutes to go through the CASL Fight Spam Quiz here.